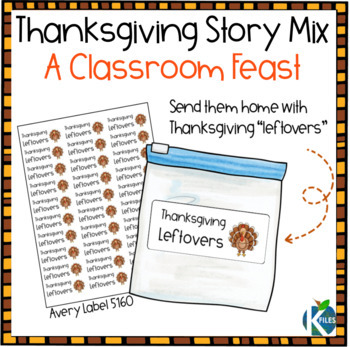 The Thanksgiving Story Mix is by far one of my favorite Thanksgiving traditions in the classroom. 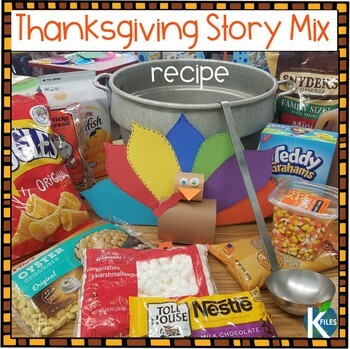 I love this Thanksgiving activity so much that I want to share the recipe with you for FREE! The recipe for this Thanksgiving feast tells the story of the First Thanksgiving. 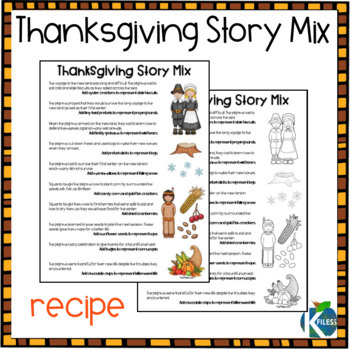 Each ingredient will help your students visualize the first Thanksgiving. From the candy corn and gold fish crackers that Squanto used to teach the first pilgrims how to grow corn to the falling marshmallows (snow) to represent the harsh winter the pilgrims had to survive. I know, that is A LOT of ingredients, but my parents were a HUGE help! It was easy to organize too. I simply shot out a class message to all my students' families on Class Dojo asking for volunteers to send in the ingredients. I listed the ingredients and the parents signed up in the comments! 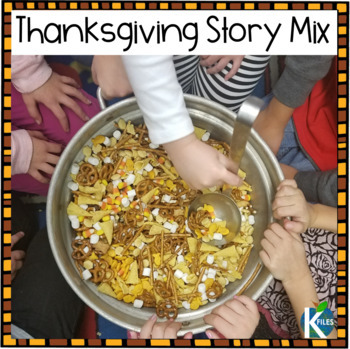 As you can see in the photo above, my students had a wonderful time taking turns telling the story of the first Thanksgiving and adding the ingredients to the huge pot that I had borrowed from our school cafeteria! It looks pretty authentic doesn't it? We had such a feast! And guess what? There were plenty of leftovers! So much so that the children each took home "leftovers" in baggies to share with their families.